Each woman’s hair type is different: straight, wavy… your hair type & style are as unique as you are! Its needs are also unique: to look at its very best, your hair needs the right level of cleansing and the right level of care. It needs the right shampoo and the right conditioner! Even within the same “straight” or “wavy” hair styles, differences in needs are significant! So, depending on the oiliness and on the damage level of your hair, you need a specific cleansing and care: the right shampoo and the right conditioner! PANTENE is a leading brand in Latin America and offers solutions for each type of hair. Facing the shelf, a woman can wonder which collection to choose and has no time to carefully study all the possibilities. Often, she will end up buying by habit, attraction of design, friend or blogger’s recommendation…or quite randomly! And in many cases, this ends up being not the right choice for her hair needs! 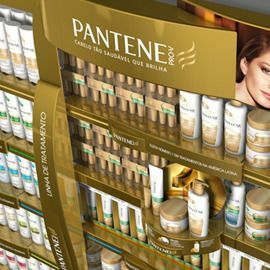 PANTENE wants to change this and help women choose the right shampoo and conditioner in store. Can you help PANTENE to be the best shopper assistant for women in Latin America? Join before January 8th, 23:59 UTC.